A Singapore company has used stem cells to help victims of serious burns and other wounds to grow fresh skin. While more work must be done to test the promise of the new treatment, the procedure has so far allowed three patients to do away with painful skin grafts. The work led by Singapore-based biotech company Cell Research Corporation is done at the National Hospital of Traditional Medicine and St Paul’s Hospital Burns Centre in Vietnam. It involves growing stem cells on synthetic scaffolds, and transferring them onto patients’ wounds. So far, said Dr Ivor Lim, the company’s chief medical director, the healing rate has been as fast as with a conventional skin graft, with no complications or rejection by the patient. Patients had been saved the pain and additional scarring of taking another piece of skin from the body to help the wounded area heal, added Dr Lim, who is a plastic and hand surgeon. ‘It would also be a help for patients who are so badly wounded they do not have enough skin for a graft,’ he said. Commenting on such work, burns expert Professor Andrew Burd of Hong Kong’s Prince of Wales Hospital said it is an area of immense research interest around the world. ‘We do not anticipate waiting for too long before we see the routine clinical application of stem cell-based topical wound treatments which are going to revolutionise medicine as we know it today,’ he said. 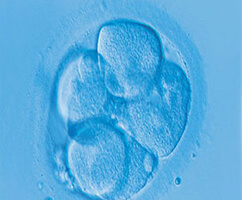 By taking such cells from the baby’s umbilical cord, which would otherwise be discarded, the company has sidestepped the controversial use of embryos as a source of stem cells. Its other research has shown how stem cells can transform into skin, bone, and fat cells – and more recently, mucin-producing cells. Mucin is found in all mucous gland secretions, and mucin-producing cells line internal structures such as air passages. Burns in the United Kingdom affect about 250,000 people each year. Of these, about 175,000 attend accident and emergency departments, and 13,000 of these are admitted to hospital. Stem cells are being used for treating burns and this involves growing stem cells on synthetic scaffolds, and transferring them onto patients’ wounds. Research to date is proving very successful. The key stem cell groups HSCs, MSCs and VSELs are only found in whole cord blood storage. Cells4Life are the only UK company offering this. Need to know more before making a decision? You can talk to one of our specialists, Doctor or a Midwife now on 01444 873950 .